Good morning, everyone! Today I wanted to share a very special announcement with you. I made a book! 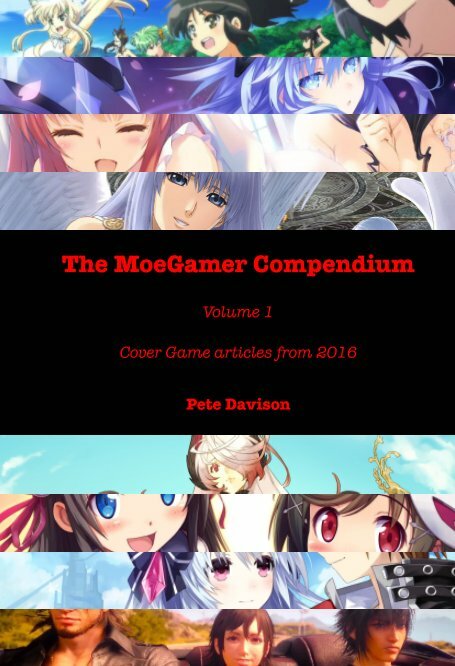 Yes, for those who would like to remove the “always-online” DRM requirement from MoeGamer’s Cover Game features, I now present to you the ideal solution for all your reading needs: The MoeGamer Compendium, Volume 1, collecting together all of the Cover Game features originally published on the site in 2016. Hit the jump for some more details, photos and links. Assuming it arrives on time, I’m hoping to cover Idea Factory’s new game Death End Re;Quest as the next Cover Game feature here on MoeGamer. In the meantime, it occurs to me that in previous Waifu Wednesday installments we have covered many of the characters from throughout Iffy’s Neptunia series (including Vert, Blanc, Uni, Noire, Nepgear, IF and Compa) but never the head honcho, the big cheese, the one and only Neptune herself… although in my defense I did talk quite a lot about her during our discussion of Megadimension Neptunia V-II’s narrative, themes and characterisation. But I digress. Anyway, with all that in mind… well, you know what’s coming. If you were wondering, it’s pronounced “vee-two-arr”. Yes indeed, a (kind of) new Neptunia game is here, which of course means I’ve picked up its limited edition, because I like both Neptunia and Idea Factory International’s approach to limited editions. I haven’t decided if I’m going to cover VIIR here on MoeGamer as yet; the original Megadimension Neptunia V-II was one of the first Cover Games here and thus we’ve already explored certain aspects of it in great detail. While I mull over whether or not VIIR’s new bits — namely its virtual reality component and its completely overhauled mechanics — are worth another month of in-depth exploration at some point down the road, here’s a look inside the box of that limited edition. Noire is a consistently popular member of the Neptunia cast, and for a variety of reasons. 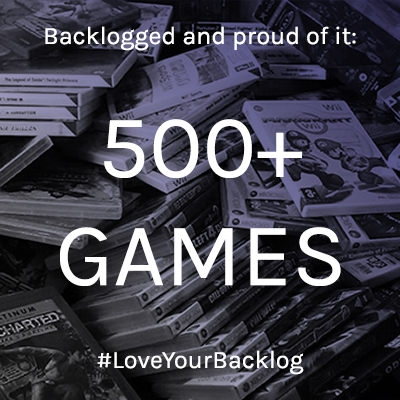 For one, she personifies the range of consoles that have, to date at the time of writing, played exclusive host to the games in the series: Sony’s PlayStation 3 and PlayStation 4, with her younger sister Uni representing Sony handhelds the PSP and Vita. As such, it’s natural for people to feel drawn to her — though quite a fun little twist in the fact that she’s not the franchise’s main character. 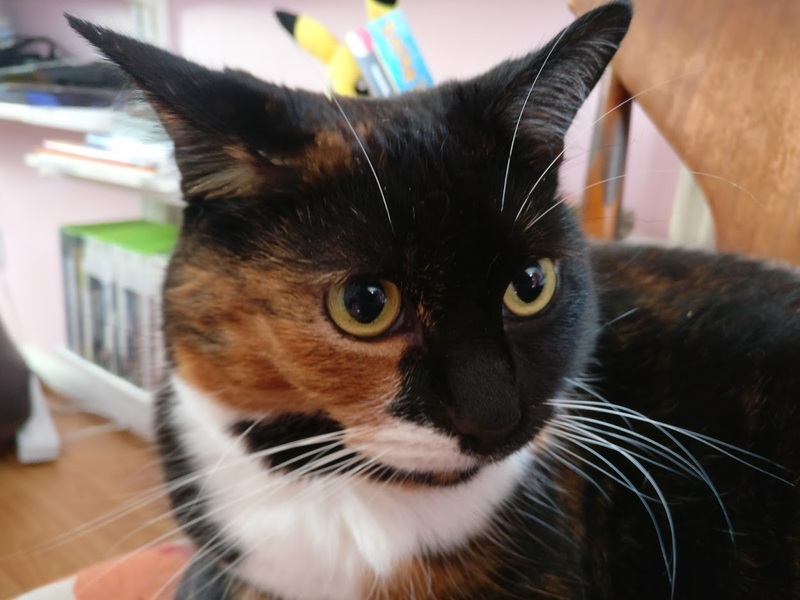 For another, she embodies the enduringly popular character trope of the tsundere; that hard-shelled, soft-centred sort of person who puts up an abrasive, sometimes aggressive front but actually just wants to be liked or even loved. A month of coverage for a Neptunia game is as good a reason as any to celebrate my favourite series waifu and indeed joint-favourite waifu of all time (alongside Amane from Grisaia). Yes, it’s Nepgear, the long-suffering sister of series protagonist, reluctant and self-conscious protagonist of her own games (Hyperdimension Neptunia mk2 and its subsequent remake Hyperdimension Neptunia Re;Birth 2: Sisters Generation) and all-round bucket of pure nerdy adorability. That’s totally a word, I don’t care what my spellchecker says. I’ve mentioned Nepgear a few times over the years, most notably in last year’s Valentine’s Day piece, but it’s high time she got her own article. So here it is, by goodness! Everyone has a favourite in the Neptunia cast, but even if she’s not top of your list, it’s hard to dislike Vert. The blonde-haired, big-breasted goddess of Leanbox personifies Microsoft’s Xbox platform as well as embodying the anime trope of “beautiful foreigner” thanks to her physical characteristics. And as with the rest of the Neptunia cast, there’s a lot more to her than first appears, too, making her a delight to get to know and spend some time with.